Soundweb London Accessories - Akwil Ltd.
Soundweb London Accessories There are 4 products. 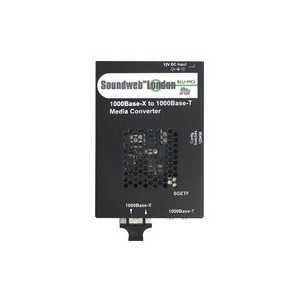 The Soundweb London BLU-GPX is a network-controlled GPIO expander which facilitates the cost-effective addition of Control Inputs, Logic Outputs, and Relays to systems requiring extra analog control/interfacing capability. 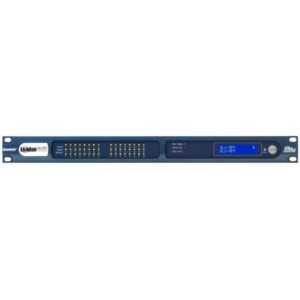 The BSS BLU-SI card is a 32 x 32 interface between Soundcraft Si Series consoles and the BLU Link digital audio bus. 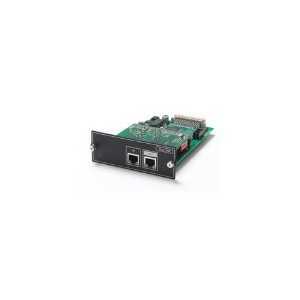 The card allows connection to a wide variety of Harman products equipped with a BLU Link interface such as BSS London BLU 800, dbx PMC or Crown PIP-BLU interfaces amongst others. 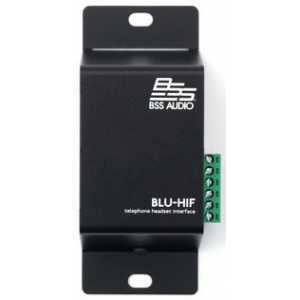 The BSS Audio BLU-HIF Telephone Headset Interface facilitates connection of the headset jack of a VoIP/digital phone to an AEC input and analog output of a Soundweb London device. The BLU-HIF therefore allows the VoIP/digital phone to be used as the dialing interface and hybrid for a conference system. Do you have a question about one or more of our Soundweb London Accessories products? Click below to contact us.